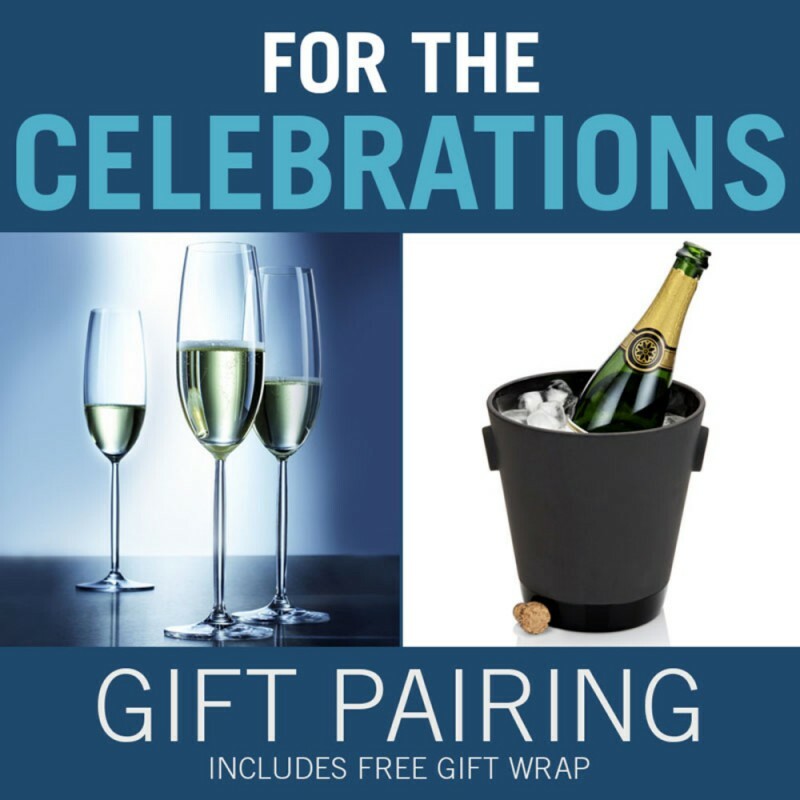 For Celebrations Gift Pairing (p/n 16659) with free gift wrap. 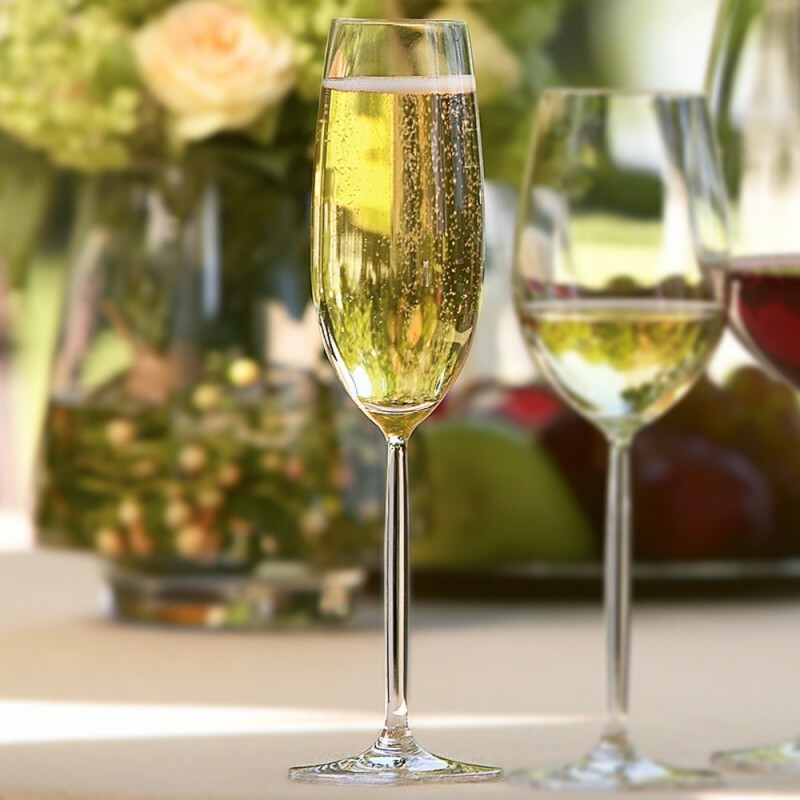 Made from lead-free, titanium-based glass, the Schott Zwiesel Tritan Diva Champagne Flute elegant stems are resistant to chipping, breakage, and are dishwasher safe. Each bowl is designed to enhance a wines flavor and bouquet. You don't need a freezer or fridge with this user-friendly terra cotta ice bucket - just rinse in water for a minute or 2 before use, and the bucket will stay chilled for 2 to 4 hours, no refrigerator required. 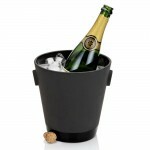 The black terra cotta bucket is stylish and versatile enough for the pool or the dinner table. The polished black finish is designed to eliminate drips from falling on your fine furniture. Designed by Simon Stevens and inspired by the sculptor Tapio Wirkkala. Set a striking table with the majestic Tritan Diva champagne flutes and black terra cotta ice bucket. 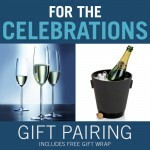 Gift set includes 6 Tritan Diva Champage flutes, 1 Black Terra Cotta Ice Bucket and free gift wrapping! While supplies last. Capacity: 1 bottle in chiller, 8 oz per flute.